Internet Protocol Address: We collect an IP address from all visitors to our site. An IP address is a number automatically assigned to your computer when you use the Internet. We use IP addresses to help diagnose problems with our server, administer our site, analyze trends, track users' movement, gather broad demographic information to help us improve the site, and deliver customized, personalized content. IP addresses are not linked to personally identifiable information. 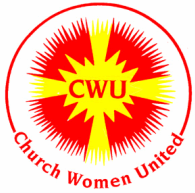 Security: All information provided to CWU Southern California-Southern Nevada Site is transmitted using SSL (Secure Socket Layer) encryption. SSL is a proven coding system that lets your browser automatically encrypt, or scramble, data before you send it to us. We also protect account information by placing it on a secure portion of our Site that is only accessible by certain qualified employees of CWU Southern California-Southern Nevada. Unfortunately, no data transmission over the Internet is 100% secure. While we strive to protect your information, we cannot ensure or warrant its security. Other Web Sites: Our Site contains links to other Web sites. Please note that when you click on one of these links, you enter another Web site for which CWU Southern California-Southern Nevada has no responsibility. We encourage you to read the privacy statements on all such sites as their policies may be different than ours.